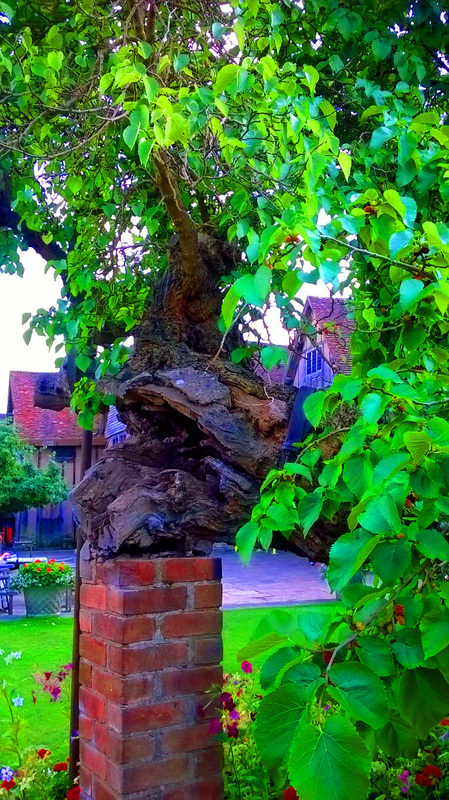 52 Poets in Shakespeare’s town. 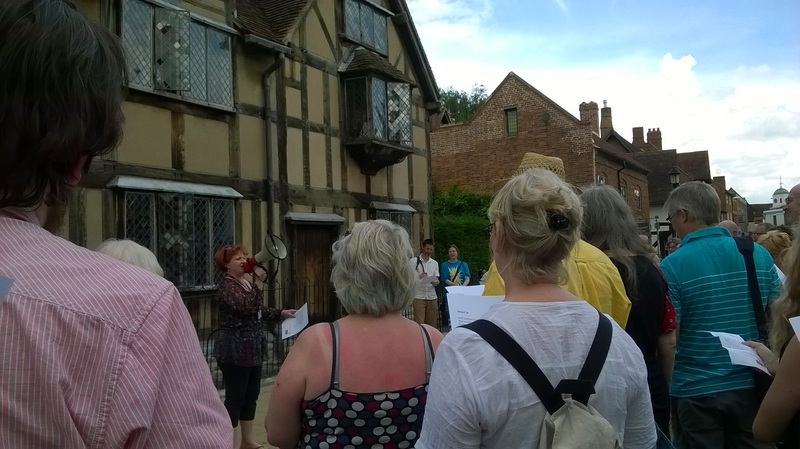 On Sunday 20th July poets gathered at Shakespeare’s daughter’s house to have a picnic. The interesting part about this was that most of the poets had never met in real life before. 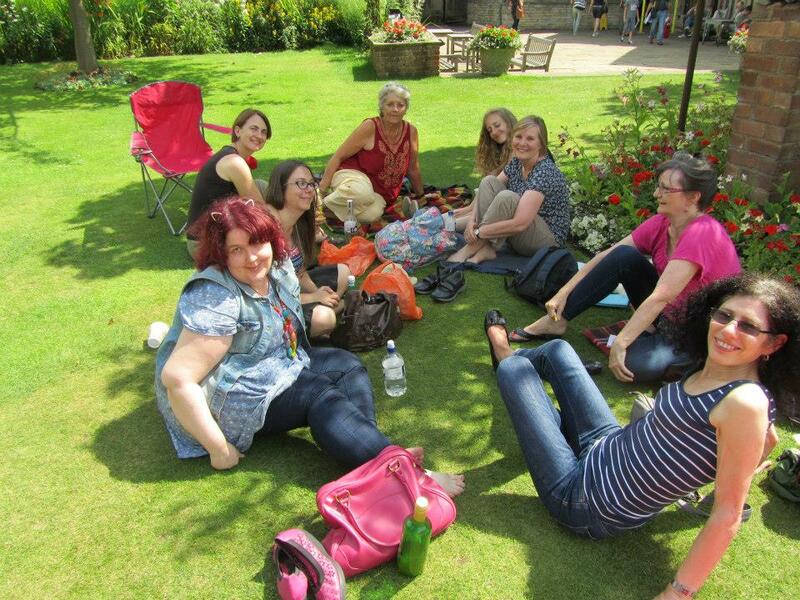 We were part of an online community set up by Jo Bell. New Year’s Eve 2013/2014 Jo was thinking about resolutions and she had the idea of creating a blog with prompts aimed at getting people to write a poem a week (52 poems in total). This has been so useful for me. The prompts each week are very interesting and I have managed to do each one so far, which has given me a file of poems to work on. Being able to post them into the group on facebook is excellent for feedback and it also motivates me to keep going. Reading and commenting on everyone’s poems is a real joy as well. Despite going to meet lots of people I didn’t know, I wasn’t a bit nervous. I already felt like I knew the people even though I had only seen a tiny square photo of them next to the poems they posted each week. I had a feeling it was going to be very welcoming. And I was right; it was a friendly and buzzing atmosphere as people rushed around introducing themselves and eating picnics. Jo Bell has done a marvelous job creating a vibrant poetry community and it has forged new friendships and some brilliant poems. 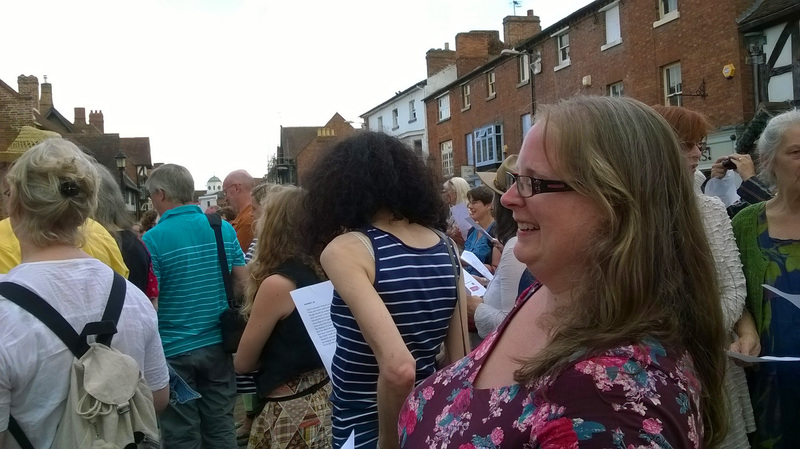 Afterwards, we all went outside and read a sonnet outside Shakespeare’s birthplace, much to the surprise of passing tourists. This was followed by drinks at The Dirty Duck and lots more conversation. A wonderful day indeed!